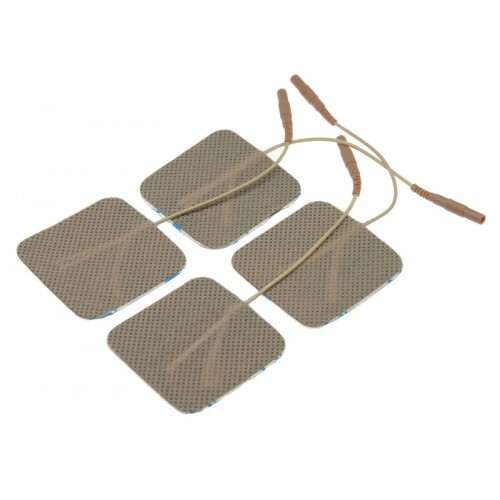 The Standard Square E-Stim Adhesive Electro Pads. They're mono polar surface electrodes for skin play e-stim. Self adhesive pads that stick to the skin without the need for electro conductive gel. With care and returning to the carrier sheet after use, can be used over and over again. They measure 50mm x 50mm (2" x 2"). Supplied in a pack of 4.